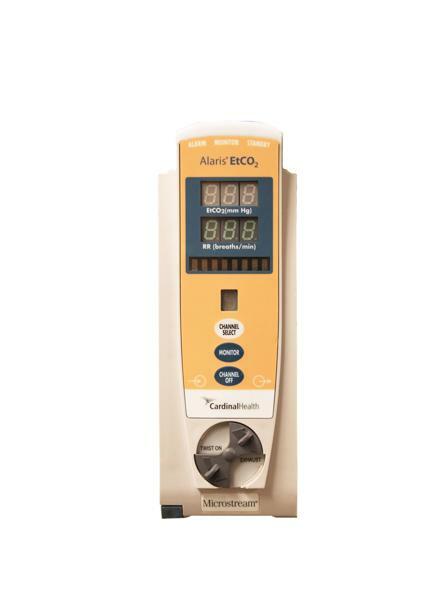 Buy or rent pre-owned, recertified Carefusion Alaris® 8300 EtCO2 Infusion Pump you need today. All pre-owned medical equipment is patient ready equipment and is covered by an OEM matched warranty. EtCO2 accuracy applies for breath rates of up to 80 bpm. For maintaining accuracy for respiration rates above 80 bpm, accuracy is 4 mmHg or + 12% of reading, whichever is greater, for EtCO2 values exceeding 18 mmHg.